We will soon be rained with plenty of eye pleasing outfits and starlets waking the red carpet waiting and hoping to get their hand on that gold still man the call an award. The Oscars are one of the most prestigious awards of all time in Hollywood and its pretty clear that if you win one you are on Hollywood's A-list. There have been some interesting outfits through the years with lots of body revealing and intricate gowns from top designers. Here are some of the best dressed celebs of all time of the Oscars through the years. Probably one of the most iconic actress ever to roam on earth. 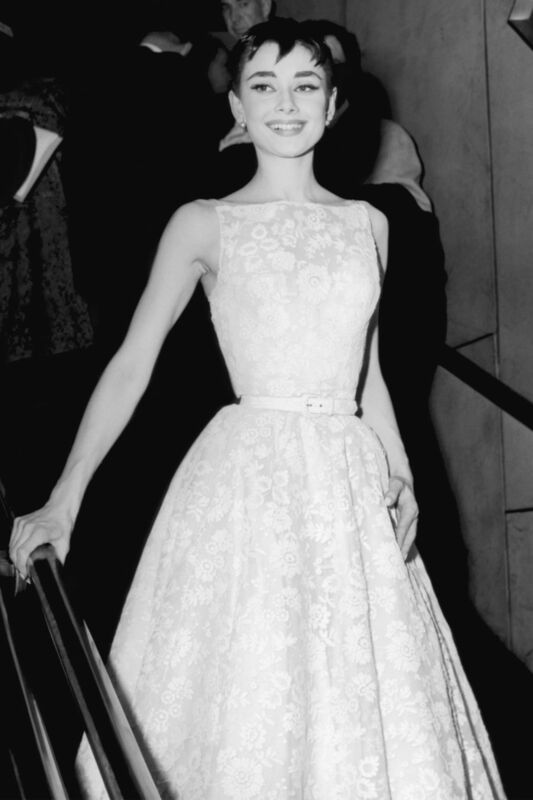 Audrey Hepburn stunned in the Givenchy gown for the Oscars in 1954. Barbara Streisand is another iconic actresses from Hollywood and wowed us all with this sheer mod Arnold Scaasi dress which she wore to the 1969 Oscars and took home an Oscar of her own for Funny Girl. It was the amazing 80's and Debbie Allen represented the best of the best of that time. With bold shoulders, all over embellishments and a thigh-high slit, she looked like a disco ball for the 1982 awards ceremony. This Supermodel was the It-girl of the 90's and it was clearly shown at the 1993 awards ceremony as she wore a body-hugging Herve Leger dress that marked her figure perfectly. It is pretty obviously that Kate Hudson is Hollywood royalty considering her mother is Goldie Hawn. She really looked stunning in the 2003 Oscars ceremony with this champagne Atelier gown by Versace. Charlize Theron looked absolutely amazing in this Dior sparkling gown in 2004 and took home an Oscar that night for her movie Monster. Good job she didn't come in costume to the ceremony! Nicole Kidman looks party ready with this Balenciaga gown with such an exquisite bow draping from her neck onto the red carpet for the 2007 Awards Ceremony. This has to be one of the most famous photos of the 2012 Oscars Ceremony with everyone calling it the Angelina leg pose. She looked exquisite in this strapless Atelier Versace gown. Jessica Chastain channels Old Hollywood in this luxurious embellished Armani Prive gown with soft waves and such elegance in the 2013 ceremony. Zendaya made her Oscars debut in 2015 with this gorgeous Vivienne Westwood gown. This so much controversy over her look that year, the young actress was given the opportunity to stand up herself and show the world she is. Jennifer Lawrence and Dior are a match made in heaven and everything she wears thats Dior just fits like a glove. This lace and tulle gown was worn for the 2016 Oscars whilst she was nominated for her movie Joy. I think its clear to say there is some high competition to beat these starlets to best dressed of all time. We are very much looking forward to seeing what the women of these years Oscars have in stall for us. We expect memorable statements gowns and some sort of salute to the 'Time's up' fight for stopping harassment in the industry.